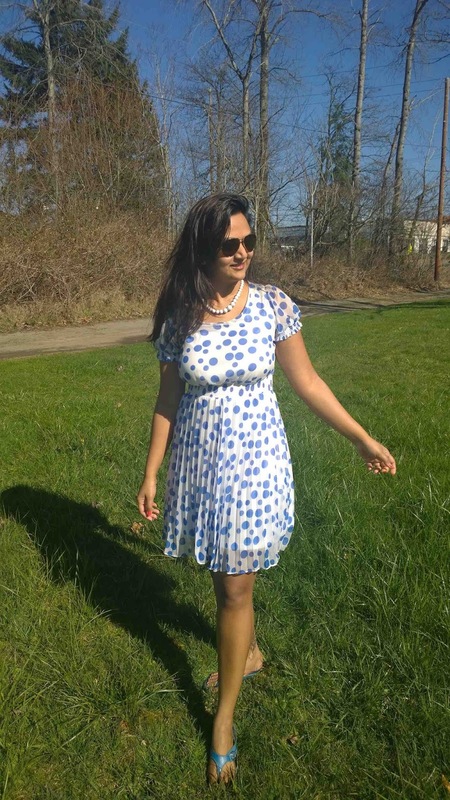 Polka Dots are a classic style pattern which never goes out of fashion, so a wise investment. 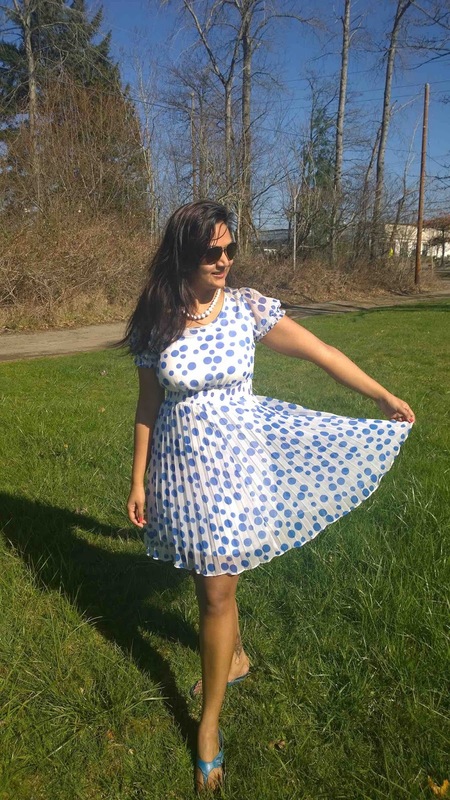 This white dress with blue polka dots and puffy sleeves makes me feel pretty young. I like the pleated bottom portion of the dress and the length is perfect. I have added white beads and blue sandals, all in all its a perfect color coordinated outfit. 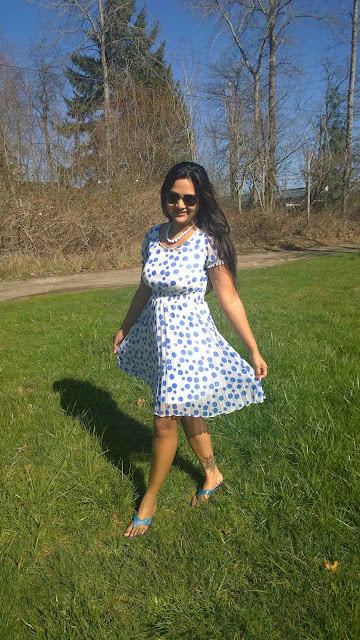 For heavier women always choose small to medium sized polka dots preferably dark colored dresses. 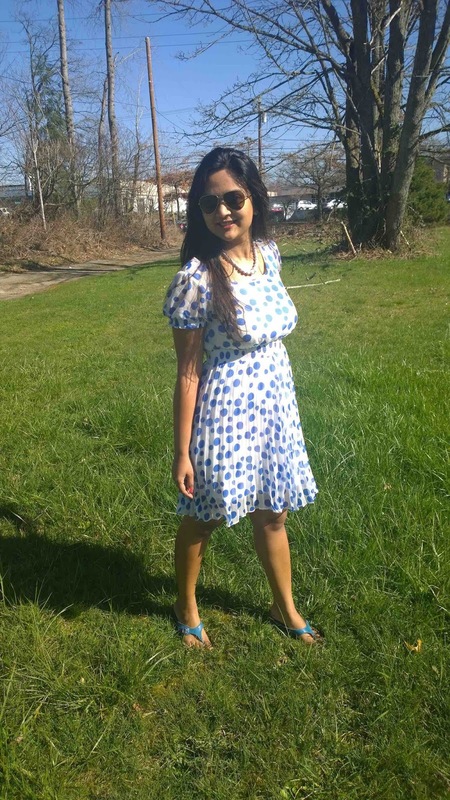 Polka dots can be a fun piece to add in your wardrobe as they are suited for most occasions. Last time I wore this dress my friend fondly teased me calling me 'A Doll'. 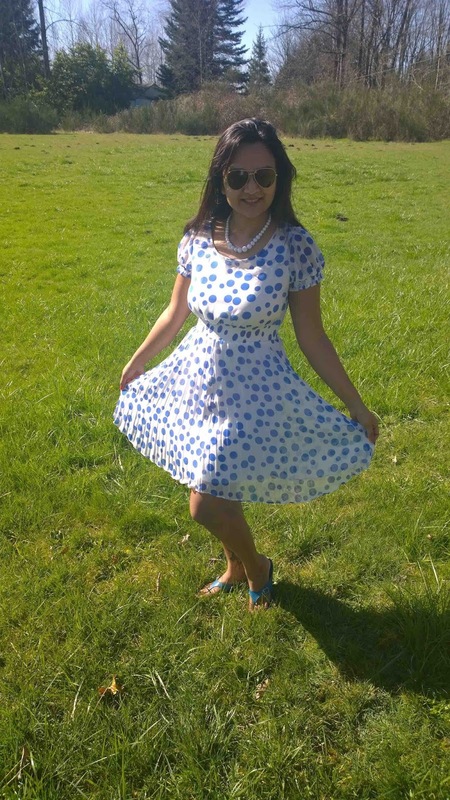 you look utterly beautiful in that polka dots dress! such a feminine look....and the photographs are lovely. 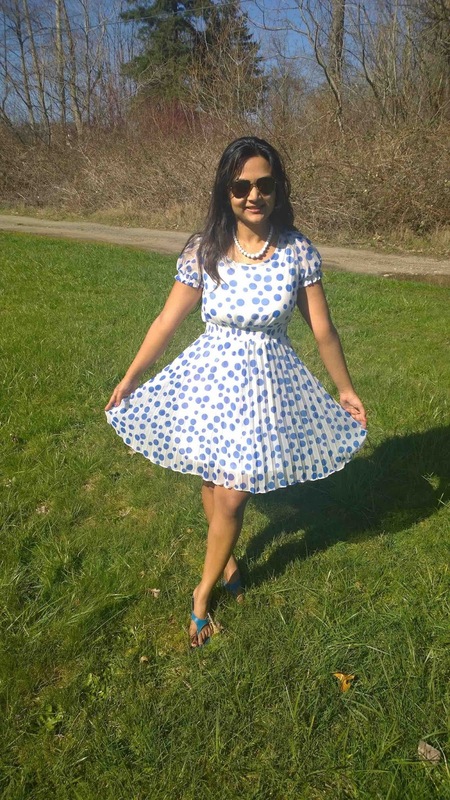 Lovely dress Ananya! You rock it. 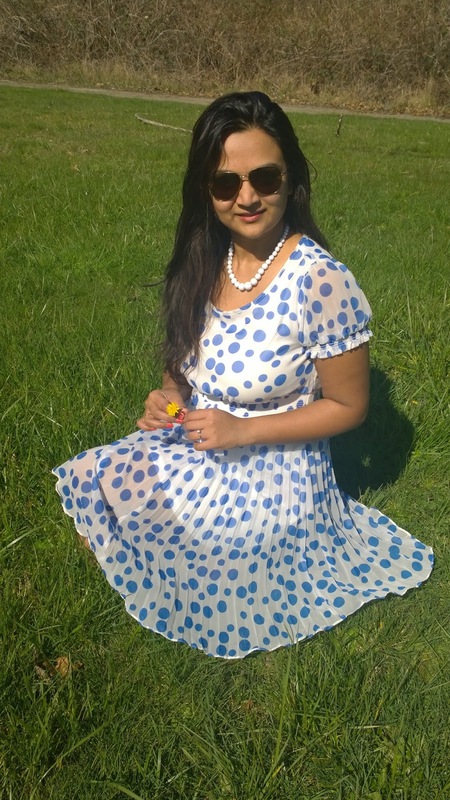 Polka dots are my favourite print!!! Beautiful in this cute dress! Stunning pics...dress looks beautiful too. so cute! I love the dress!!!! Very Cute.Soon will buy one for may daughter Tanvi.